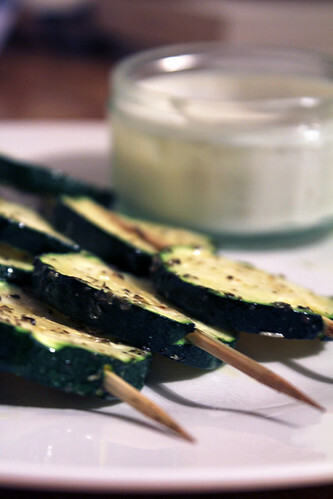 Courgette Skewers | Abandon Spoon! Courgettes are one of my favourite vegetables, but I don’t really do much with them apart from stir fry and just chucking them in with other ingredients. I was looking through one of my recipe books for inspiration and came across this one. It’s nice and easy but tastes good and looks pretty good too! 1. 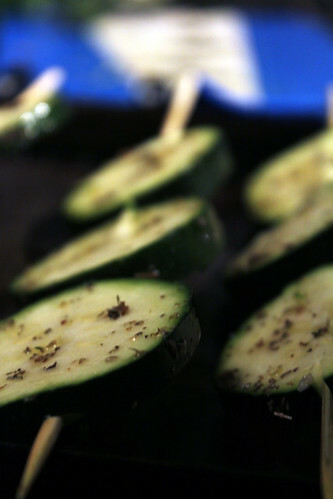 In a bowl combine the courgettes, oil, oregano, chilli powder and salt and soak. 2. 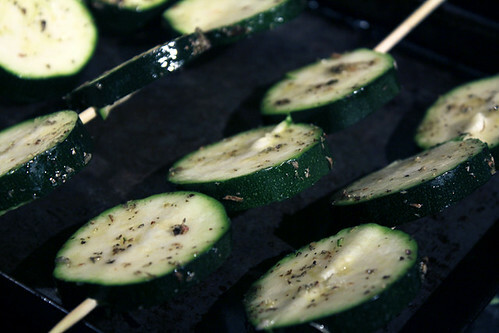 Thread the courgettes sideways onto skewers. 4. In a bowl mix together yoghurt, cumin, cayenne pepper. 5. 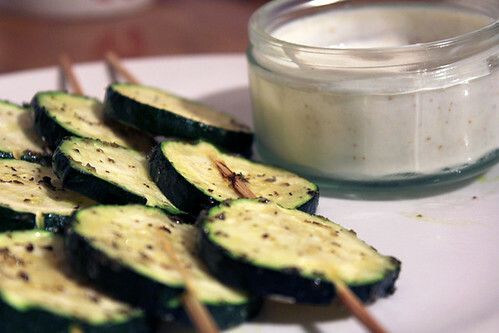 Serve skewers with the yoghurt alongside.